Spa Bleu Packages are optimally combined with complementary treatments to offer you the ultimate spa experience. By scheduling one of these combinations you will be receiving a package discount as well ammenities often not included in services booked individually. Please remember that a minimal gratuity of 20% will be added to your package at the time of checkout. If you feel that you received an exceptional service, you are always welcome to leave any additional gratuity if you so desire. Don't see a package that draws you? Call us at the spa and we would be happy to work with you to put together services for the perfect, custom Spa Package. ​make your day even more special! Relax together... 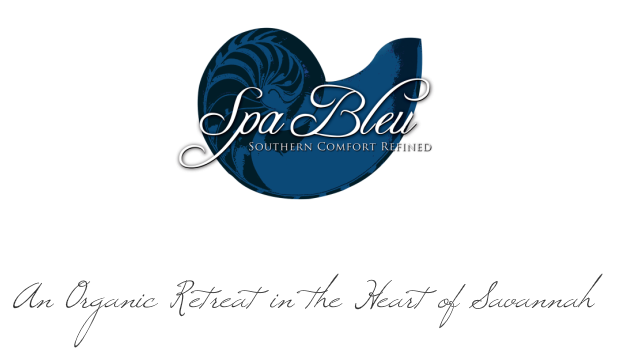 Whether you are with your significant other, family, or friends, Spa Bleu has a unique space to make your experience memorable. Both of you will receive Customized Massages with your choice of Organic Aromatherapy. You will be together the entire time. After your massage, you are welcome to relax together in our relaxation lounge. Enjoy! (ask about upgrading to any of our specialty massage treatments). Spend the day together! Share in the relaxation and rejuvenation of Customized Massages with Organic Aromatherapy, Organic Skin Specific Facials OR Dead Sea Salt Scrubs, Spa Bleu Pedicures and a light lunch w/herbal tea for two… After your treatments you are welcome to relax together in our relaxation lounge. w/organic aromatherapy, Dead Sea Salt Scrub w/hydrating infusion, & a Light Lunch w/herbal tea. Et voila! Includes your choice between a 1hr Customized Massage OR a Skin Specific Facial, followed by a Spa Pedicure. Includes Organic Aromatherapy. A one-hour Customized Massage w/ organic aromatherapy, Skin Specific Facial, Spa Manicure, Spa Pedicure, & a light lunch w/herbal tea. Let us give you the Spa Bleu royal treatment. Indulge in the Signature Bleu Massage, Signature Bleu Facial, Signature Bleu Manicure & Pedicure, & a Light Lunch w/herbal tea. Custom Bleu - Build your own Package...choose 3 or more 1hr+ services from our menu & receive a 5% discount on your package. Make your spa day extra special with petite treatments included in your service time (you may always add on full length/full price services if preferred). Aromatherapy combinations (100% organic essential oils): French Lavender, Geranium, Peppermint, Eucalyptus, Rosemary, Tea Tree, Orange, Lemon, Grapefruit, Sage, Lemongrass, Cypress, Patchouli Pine & Sandalwood. Combine as many oils as you like! Combine as many oils as you like!